Do you often experience a dull pain under right rib cage? If you do, don’t ignore it, because the symptom may be related to a serious and scary disease that needs treatment. I have put together 5 documented causes of pain under the right rib cage to help you determine the real culprit for you own pain. This way you can do something about it. However, prior to that, you have to know what organs are found under the right rib cage. The organs included are: the right area of the cardiovascular system, the right portion of the liver, chest muscles and some arteries. Although the right kidney is not directly under the right rib cage; it is found just under the right rib cage. Thus, the pain from the right kidney can radiate upwards towards the right rib cage. The kidneys are two bean-shaped organs (right and left) found just below the rib cage. Each kidney houses around 1 million nephrons, which are its functioning units. Each nephron can produce urine by itself. ​Now, you are familiar with the kidneys’ anatomy. We will now proceed to the discussion about some of the conditions that can cause pain that can radiate to the right rib cage. Pyelonephritis: This is an infection of the kidneys characterized by the presence of bacteria in urine (bacteriuria), dysuria (painful urination) and flank pain, which is the most common pain experienced by infected people. Renal calculi: These are also called kidney stones. These are stones composed of potassium oxalate, cystine, or uric acid crystals that accumulate in the kidneys and form stones. These stones when formed in the kidneys will cause the characteristic abdominal pain, but there were reported cases of chest pain. Pain under the right rib cage is also chest pain. Medications and surgery: Go to hospital, you will be treated accordingly by the doctors. Proper diet and regular exercise: A healthy lifestyle can help you remove the kidney stones and infecting microorganism. Gallstones are stones found in the gallbladder, which is a small organ containing bile acids and bile salts. These substances help in the digestion of food in the small intestines. The gallbladder works together with the liver, the pancreas and the small intestines to ensure that the different foodstuffs are metabolized and digested properly. In the presence of a gallbladder disorder, stones are formed from cholesterol, calcium carbonate and other crystals that can accumulate in any part of the gallbladder. When a stone is stuck in the duct leading in and out of the gallbladder, pain results. It can be a dull pain under right rib cage or a severe radiating pain on the chest and abdominal area. Medications or surgical removal of gallbladder: The gallbladder is removed through a surgical procedure, and the patient is given oral medications that will perform the functions of bile in the digestive system. Proper diet: Crystals can be derived from diet. Uric acid crystals can come from cabbage, eggplant, sardines, visceral organs of animals and legumes. You have to avoid these types of foods to further aggravate your illness. Cholesterol comes from meat fat too, so this should be avoided. This condition is characterized by pain in the rib cage or chest. This is because of an inflammation of the ribs’ cartilages and the breast bones. It is closely associated with fibromyalgia, because both of their symptoms include chest pain. Among our Top 5 list, costochondritis is the least scary. It is because although there is no specific treatment to eradicate it; it does not have serious consequences, and the pain goes away after a while. Analgesics to alleviate the pain. Application of ice over the inflamed area on the chest. The liver is the major metabolic organ that is responsible for converting foodstuffs into vital substances needed for the body. It is also the organ that detoxifies your system to prevent drug poisoning or substance intoxication. 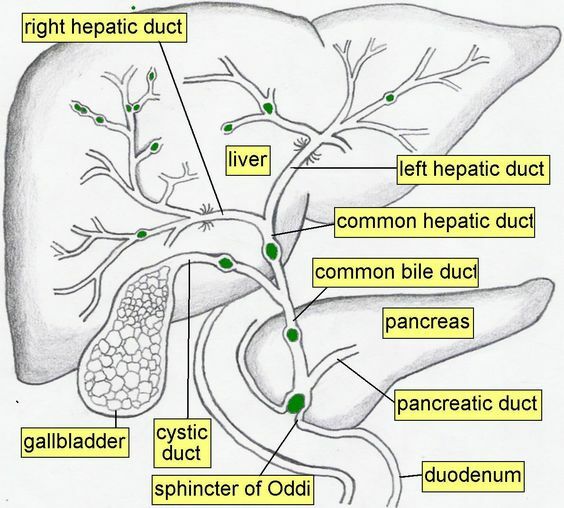 Hepatic carcinoma - Cancer, almost always, represent extreme pain. Understandably, when a large organ like the liver is cancerous, it will eventually affect surrounding areas and cause pain. At the onset, a dull pain under the right rib cage will most likely affect the person with cancer. But when the cancer has metastasized, it would be rational to assume that even the chest portion would experience severe pain as well. This is directly related to the area, so the pain is expected. Accidents (car accidents, fights, physical accidents) can cause injury or fracture to the right rib cage and muscles under it. The pain would be directly proportional to the severity of the injury. There can also be an intercostal muscle ﻿﻿injury due to external factors. What’s scary about this is when the person has no external wounds, but has crushed ribs and bones. I saw once a person who seemed well after his motorbike crushed into a wall. He had no wounds whatsoever. He stood up nonchalantly, after getting sprawled on the road. He informed everyone that he was just fine and had refused to go to the hospital. Things happened so quickly after that. When he started to mount his bike, he just collapsed and never recovered. I found out later that most of his ribs were fractured and some vital organs were crush. Obviously, it was a delayed response. That’s why it is advisable to proceed to the hospital after a serious accident, even if there are no visible external wounds. Going further, bruised ribs and pulled chest muscles can also cause dull pain in the right rib cage. In addition, through Rib Fracture Imaging, you can find the exact location of the fracture and contusion. This is crucial in identifying the exact cause of the dull pain under the right rib cage. Angiography can also help in coming to a correct and definitive diagnosis. For bruised ﻿﻿rib﻿﻿s, an oral pain reliever can do. You can also apply an ice pack to reduce any swelling. Alignment of ribs that were fractured can be done for simple fractures. For multiple fractures, the use of epidural anaesthesia in the pain management is recommended. Surgery may be needed for more severe cases, where internal organs are affected. These are the top 5 causes of dull pain under right rib cage. Did you encounter some causes that you have expected? I hope you have gleaned some significant information. Feel free to leave a comment below to let me know about your thoughts. You may also want to share this post with your friends on Facebook, Google Plus and Twitter. Which Type Of Exercise Contributes Most To Building Strong Bones? Are Cognitive Enhancers Bad For Your Brain Health? Hello everyone! I’m glad to have you here. I’m a medical technologist by profession. My second love is writing. So, I’m focusing on providing content to help other people with their health problems. I hope I can be of help to you. I’ve always had lower back pain,then got clean after 5 yrs of opiate abuse. Then I got severe neck pain and cracking but it is not so bad now then I had an injury to my right arm on my elbow but just recently I’ve got middle back pain with a dull ache under right shoulder blade and amid dull ache under right rib cage which sometimes is uncomfortable it went away then came back 2 days later.what could be causing this ? Please help, I’m scared I also have anxiety and depression, ocd. There are many causes for your pain. Possibly because of 5 years of drug abuse, depression also affects. So I advise you to visit the nearest hospital to doctors find the cause quickly and the appropriate treatment. You said the doctors can not find the cause? How To Crack Your Hip Safely? Startling Reasons Why Your Breath Smells Like Poop? What are the Best Gloves for Ultimate Frisbee? ALifeBeauty.com is a participant in the Amazon Services LLC Associates Program, an affiliate advertising program designed to provide a means for sites to earn advertising fees by advertising and linking to Amazon.com. Amazon and the Amazon logo are trademarks of Amazon.com, Inc., or its affiliates. Additionally, AlifeBeauty.com participates in various other affiliate programs, and we sometimes get a commission through purchases made through our links.